The RiverRun International Film Festival closes this Sunday, April 14, with a screening of Dava Whisenant's Bathtubs Over Broadway. 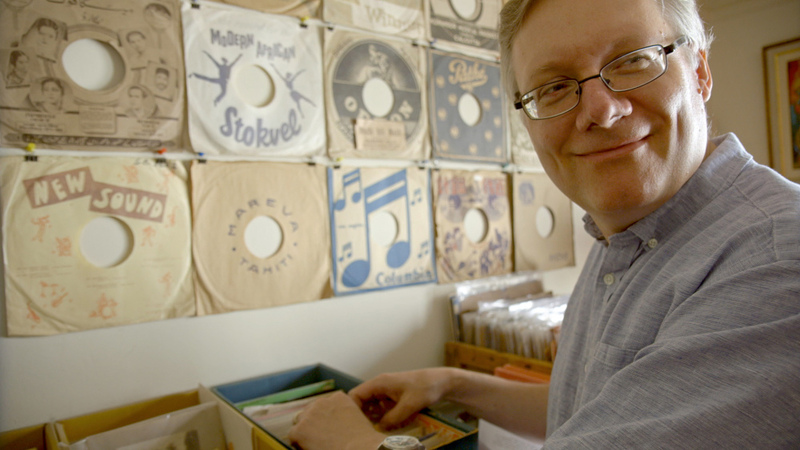 What begins as a rather charming documentary about a man with a rather eccentric hobby of collecting old industrial musical records, becomes something deeply human and incredibly touching as it explores a little known world of fully produced Broadway style musicals written for corporate sales events. I'll admit there's something vaguely icky and even troubling about the idea of a jazzy, upbeat musical written to celebrate products and motivate employees to "sell sell sell" for the benefit of a corporate overlord exploiting their labor for profit (and singing a happy tune while doing it), but the core of Steve Young's enthusiasm for these musicals is pure. A longtime writer for "The Late Show with David Letterman," Young stumbled across one of these industrial musicals while researching a but for the show, sparking a lifelong passion that introduced him to a world few ever knew existed. The musicals are kitschy, American capitalism's answer to Soviet propaganda films. It's jarring and a bit goofy seeing Broadway performers belting out numbers about everything from Coca-Cola to Xerox printers. And yet there's something endearing about their earnestness, and Young's guileless love for them is nothing short of infectious. Like Steve Buscemi's character in Terry Zwigoff's Ghost World, Young avidly collects these rare albums, gushing over having the world's only known copy of some, eventually tracking down some of the actors and songwriters who brought these musicals to life (including Florence Henderson, Martin Short, and Chita Rivera). Bathtubs Over Broadway uncovers an entirely new genre of American theater, introducing us to some of its unheralded luminaries who are finally getting their moment it the sun. There's something so very wholesome and heartwarming about seeing someone whose work was never made commercially available and only seen once realizing that there are people out there who really appreciate what they did decades ago. And one can't help but wonder if these songs weren't about corporate-specific products, would they be more famous than they are today? Because, quite frankly, much of the music is actually good, the lyrics witty and even a bit cheeky. Real talent and passion went into the making of these musicals, and the film allows a whole new audience to finally appreciate them. The very idea of musicals about bathroom fixtures and ball-bearings seems goofy, and indeed the camp factor is through the roof. But director Dava Whisenant never treats them or her eccentric star as fodder for laughs or derision. Bathtubs Over Broadway is a loving ode to a forgotten piece of American culture, and the people who have kept it alive after history had left it behind. It's an utter and complete delight. 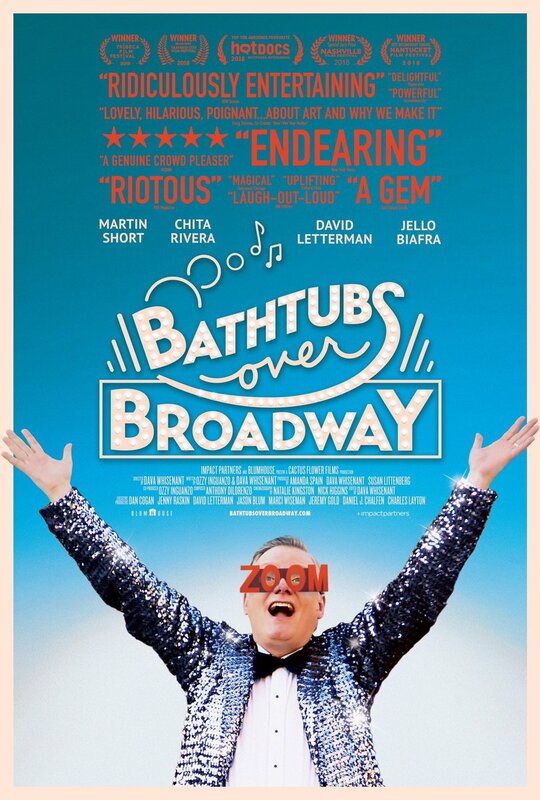 BATHTUBS OVER BROADWAY is the closing night selection of the RiverRun International Film Festival in Winston-Salem, NC.